Can you guess from the title alone what this post will be all about? If you are not new on this blog, I’m sure you got it figured out, and if you didn’t spend much time here before, you can check this post, it will give you a hint. 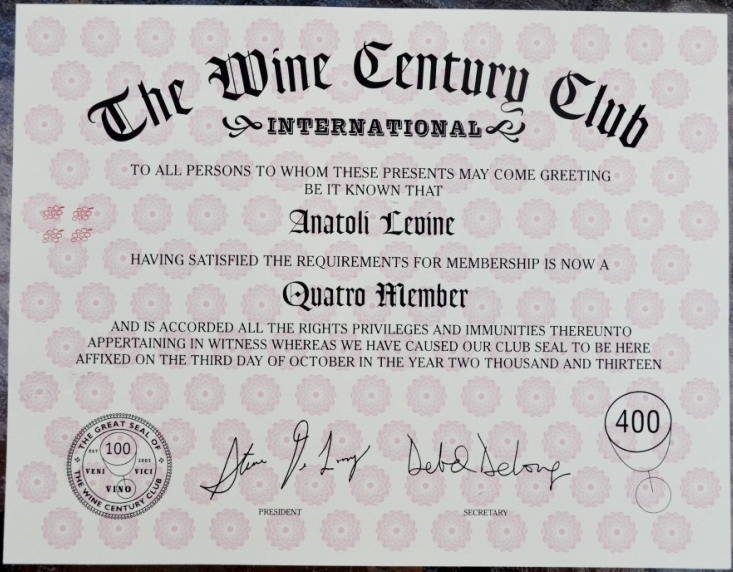 Yes, you got it right – I got to 300 different grapes, and now can officially apply for the Treble level at the Wine Century club! For anyone interested in seeing the copy of that application, you can find it here: Application_WineCentury_Treble. This “Treble Journey” was interesting. It required complete focus: entering the wine store, you are on the mission. You are not looking for a nice bottle of reasonably priced Cabernet Sauvignon – instead, you are looking for the wine from most obscure place (of course it is also located in the corner of the store you’ve never being to before), hoping it is made out of grape you didn’t try yet. Reaching this 300 grapes level was big and often simply a communal effort. My friend Patrick was finding and bringing wines from Switzerland. My friend Zak, owner of Cost Less Wines and Liquors, was going after all of his suppliers asking for rare grape recommendations. I had to spend a lot of time trying to find unusual wines on the budget, sometimes bringing them from across the country or half way from across the world (for instance, Emerald Riesling, which grows only in Israel). A lot of time went also into “grape research”, making sure that grape is unique or at least an officially recognized clone, and not just a different name for the grape already accounted for. Both Findling and Lacryma Christi were nice wine (which is not always the rule when you are going after rare grapes), but the great thing was that Treble Journey finished in style, thanks to Pigato and Pugnitello wines. This 2009 Punta Crena Pigato Vigneto Ca da Rena from Liguria in Italy was one of the very best white wines I ever had – full body, great balance of fruit and acidity, with fruit taking back seat and letting polished roundness to shine – outstanding (Drinkability: 9). And 2006 San Felice Pugnitello from Tuscany was also outstanding, earthy and pungent, very balanced with long finish (Drinkability: 9-). Well, the Treble Journey is over. Am I done with this [tedious] process of grape discoveries? I don’t think so. The next level called Quattro, and it requires… yep, 400 grapes! Anyone cares to join? Let’s go! Previously, we discussed how expectations affect the taste of wine (you can read about it here and here). Sometimes, it is probably better to have no expectations at all! You don’t get upset, and you don’t get too excited if you simply have no expectations at all and just take life events one by one as they come up – oops, let’s stop this philosophical spur, I might not dig out of that hole or get beaten up. 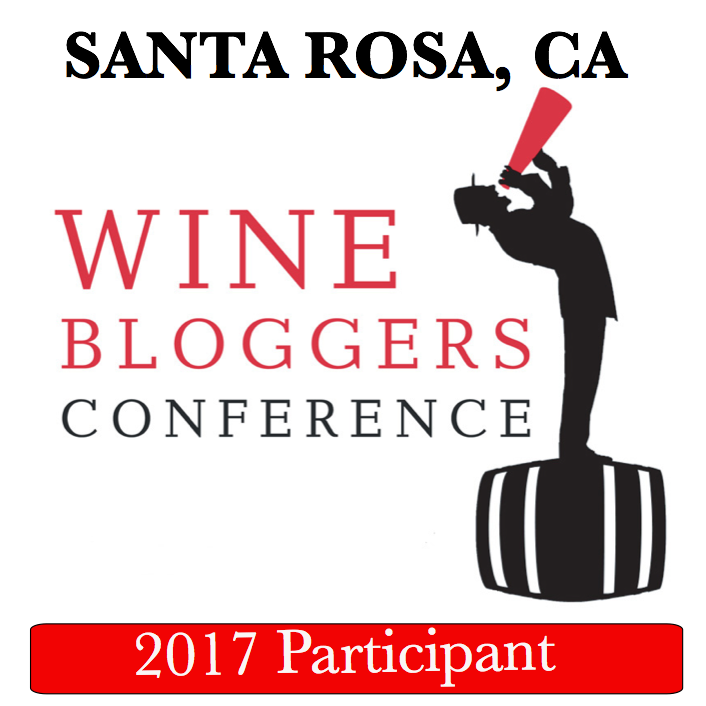 Let’s talk about wine, for which I had no expectations whatsoever. On the Treble Journey road, you come across many different wines. Some of them make you regret you ever touched the bottle, and some of them make you feel really happy you did. This wine, Le Cousin Rouge from Anjou region in France, made out of the grape called Grolleau, definitely belongs to the second category. The reason? This wine is unique and different. Not because it is bio-dynamic wine – this is great, but not enough. It is simply different from majority of the wines I ever had, and has very unusual flavor profile. In one of the earlier posts, I called the wine I had a liquid steak ( and I said it was the most unusual). I didn’t know that the “unusual” wine will have competition – and it does, as I would like to call this Grolleau wine a liquid salami. Yes, you read it correctly. It has such a balance of acidity, earthiness and pungent feeling it leaves on the palate that I can only compare it with nice Italian salami. 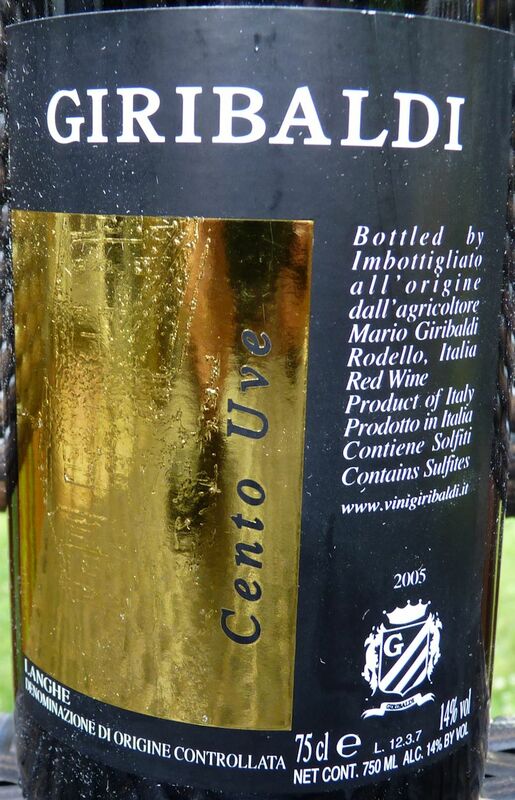 You don’t have to believe me – just find this bottle of wine, try it and let me know what do you think. And of course the great thing is that I’m inching forward towards that 300 number, which gets closer and closer. I’m glad to make such discoveries along my Treble Journey – and I wish to your palate many happy experiences! 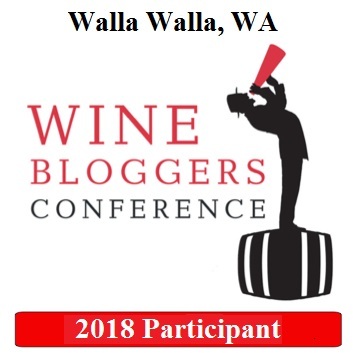 When I restarted my Wine Century Club crazy grape adventure in the May of this year, I had no idea how long will it take to get from about 200 grapes (was not so easy to get even there, trust me) to the 300 grapes, which are required to achieve Treble level. Tsitska and Chinebuli – white grapes used in the Bagrationi sparking wine I wrote about in my previous post. Picolit and Malvasia Istriana – used in white Italian wine Jermann Vintage Tunina 2006. This was one of the most unusual white wines I ever tried, full bodied, with the tart fruit expression and pronounced sense of place. All together that brings us to the number 291. And to put the final target within the reach, more wines are waiting to be tried, which will add Coda di Volpe, Erbaluce, Portugieser, Ruche, Grolleau, Schiava and Pigato – you do the math. So, you can not pronounce the name of the first grape? Google doesn’t help? Don’t feel bad. The owner of the wine store in Paris, where I bough these two wines, had troubles with pronouncing “Sciccarellu”. I guess another way to write the name of the same grape is Sciacarello, or at least this is the closest on Wikipedia, but it doesn’t make it better known grape, at least for me. As with any journey, there are ups and downs. Once you get off the well known path, you are in for the surprises, good and bad (luckily, it is wine, so the worst surprise is “here is something I don’t ever want to taste again”). When you open a wine made from obscure, maybe almost extinct grape, you really don’t know what to expect. There are cases where you really wish you never tasted that wine (did you have lately any Retsina wines from Greece?). Then there are those when you say “ok, doesn’t taste like anything, really”. Good surprises don’t come as often as one might wish. But – here we go. 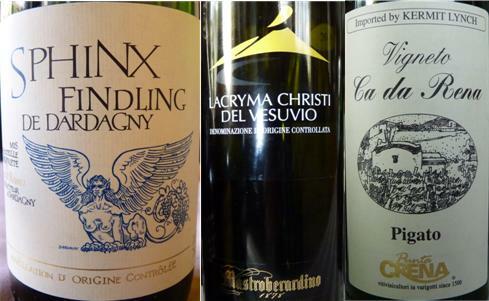 Two wines from Corsica, 3 new grapes for the Treble Journey, great experience and lots of pleasure – to give you a short summary. To start with Rose, behind hardly pronounceable grape names hides an excellent wine. Domaine de Granajolo Corse Porto-Vecchio 2009 is a blend of Sciccarellu, Barbarossa and Syrah. Now, I have to tell you something very honestly. Despite the fact that I’m “practicing” an art of describing the wine taste for more than 7 years now, I still have a very difficult time to provide description in terms of individual components, and often I have equally hard time to find such detailed descriptions useful. What you taste depends on your mood, state of your mind, state of your palate and many other things, it is really personal – but this should be a subject of another post. So I prefer to talk in the terms of “full package” about this particular Rose – it has a lightness of a crispy white wine, but the substance, structure, body and weight of an elegant red wine (nice Burgundy or Pinot Noir from Central Otago comes to mind). And it definitely gives you pleasure. To me, this is perfect everyday wine, no matter if it is hot or cold outside. In the Drinkability terms this is 9- wine. 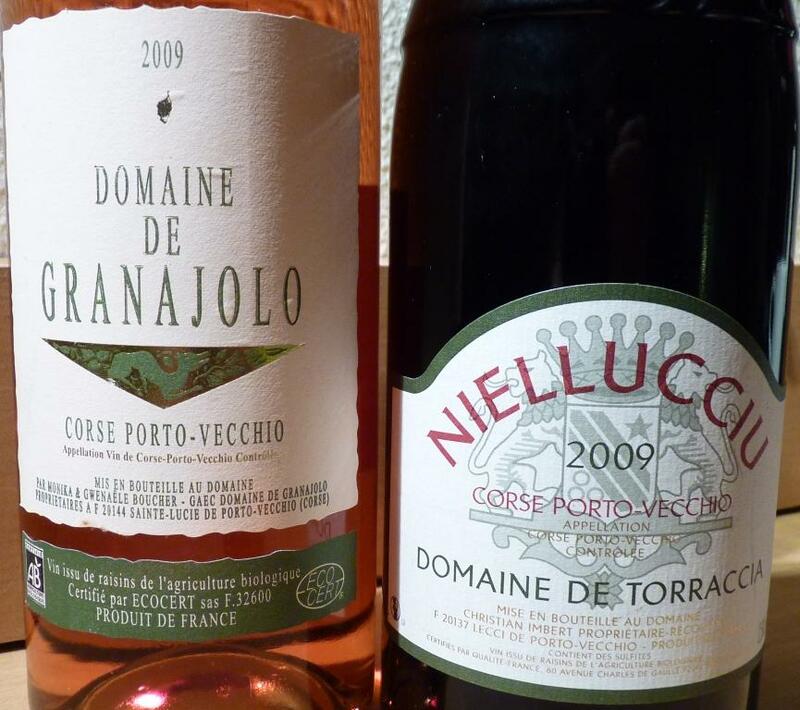 And if the Rose was great, Niellucciu 2009 from Domaine de Torraccia, also from Corse Porto-Vecchio was even better. The very first sip immediately solicited “Wow”. Earthiness and smokiness of the elegant Burgundy, spices, leather and tobacco of the classic Chateauneuf du Pape all complemented by the depth and structure of the great Barolo (after it is well decanted). Am I exaggerating? Always possible – but I’m honestly just trying to convey my personal perception. If your palate is aligned with mine (I know that is true for some of my friends), I’m sure you will also enjoy this wine immensely. In the Drinkability terms it is definitely a 9. Clones are looked at somewhat skeptical when it comes to wines – simply because in some cases, the origin of the grape is not easy to establish, and then all sorts of claims can be associated with particular characteristics of the grape. Well, when you on the hunch to get to the Treble level, even the clones will help – especially if they are certified by UC Davis. This Flora Springs Sauvignon Blanc is a blend of two clones of Sauvignon Blanc: Soliloquy Sauvignon Blanc and Sauvignon Musqué clone. It is a beautiful wine, combining finesse, the grassiness of traditional Sancerre and fruit-forward style of California wines, perfectly balanced. This is one of the very few California Sauvignon Blanc wines which I actually enjoy, as in general my preferences are on the Loire and New Zealand style Sauvignon Blanc. I will put drinkability rating on this wine as 8+, and these are the two new grapes. Then come two more wines, which are adding two more grapes, both grapes being in the main Wine Century Club application table from the beginning. One is Petite Arvine, a grape from Switzerland, which is hard to find in the US. I got the wine directly from Switzerland with the help of my friend Patrick, and it was 2009 Valiciana Petite Arvine du Valais – simple and herbaceous, working well as an aperitif. And the last grape for this update was Garnacha Peluda, also known as Ladoner Pelut, or Grey Grenache. And even as Wikipedia simply lists all of the clones of Grenache as one and the same grape, as we are counting clones, this is perfectly suitable grape to be counted by itself. 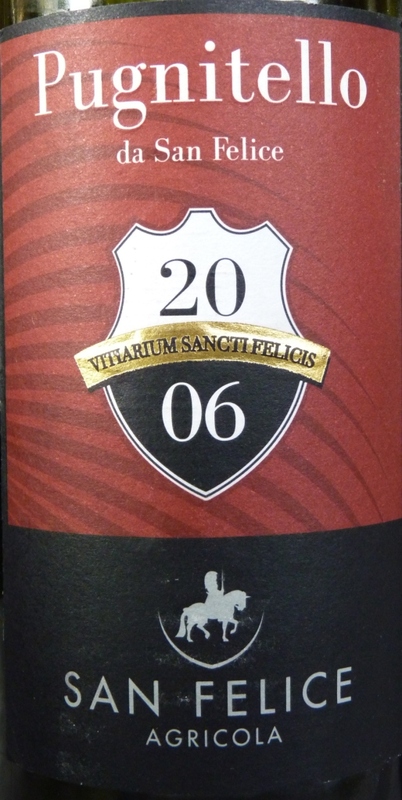 It was a part of the blend in wine called 2007 Sexto Terra Alta from Spain – an interesting wine with some dark fruit notes showing up after the wine breathes for a while – it would be an interesting wine to try in 3-4 years.